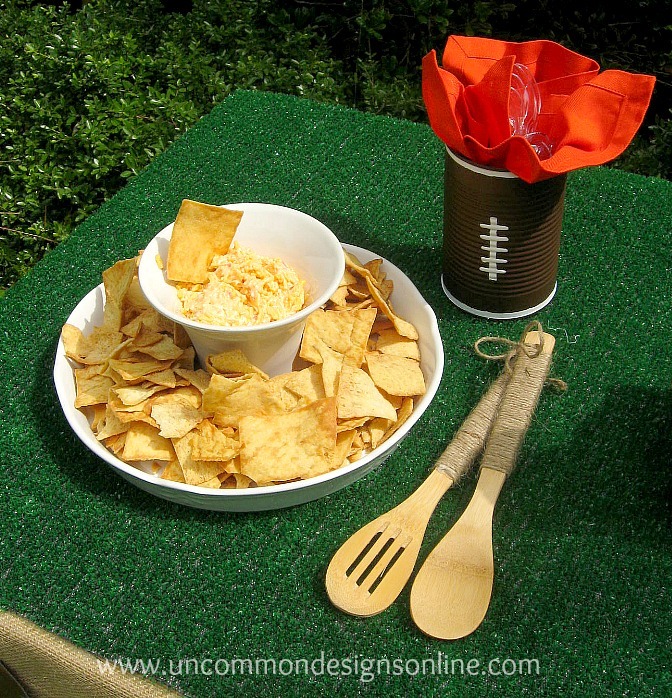 Tailgating ideas was published first on Uncommon Designs. 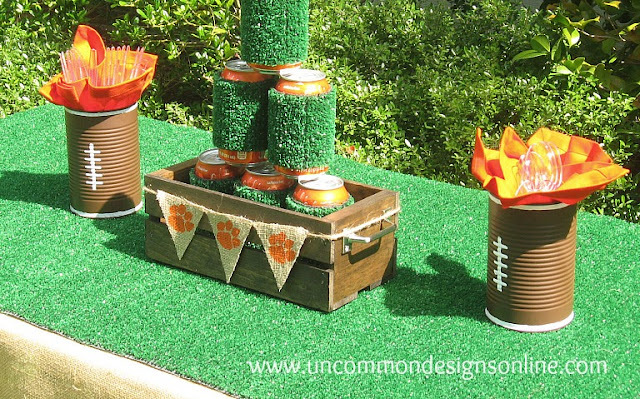 Nothing says fall around these parts like the beginning of football and with it comes… TAILGATING! 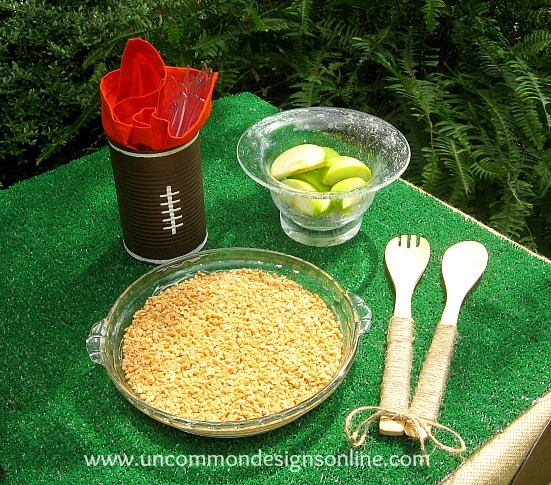 Stop on by again this week and I will show you how to create these recipes and football decor! So…who’s ready? Love them! I already loved the Coozies, but the football painted cans are perfect! That tablescape is totally cute! Love it! My girls would love it too! My oldest (13) keeps reminding me who is playing on what sundays coming up – my brother is a big Colts fan and has passed it on to my girls! and now they are broncos fan sort of because Peyton Manning moved. So I suppose at least some of us will be watching a lot of football this fall! I just bought an antennae for our tv/dvd screen right before the olympics so this will be the first our girls are able to watch football at home. I’m good without it – I would rather read a book! Following from GFC blog hop. I’d love it if you could follow back and join us for the Weekend Blog Walk at At Home Take 2. Thanks Jessica! Have a great weekend! Love the banner with the tiger paws – Clemson, I assume?! Dropping by from Serenity now link up. Love football season too, check out my latest giveaway! 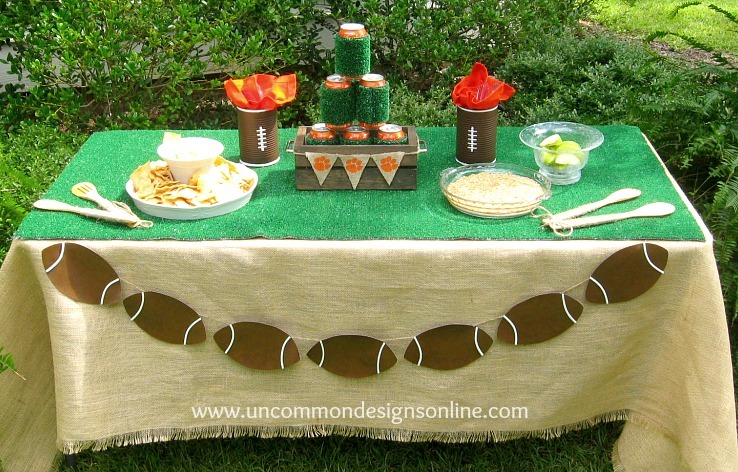 I love the astro turf table runner!! 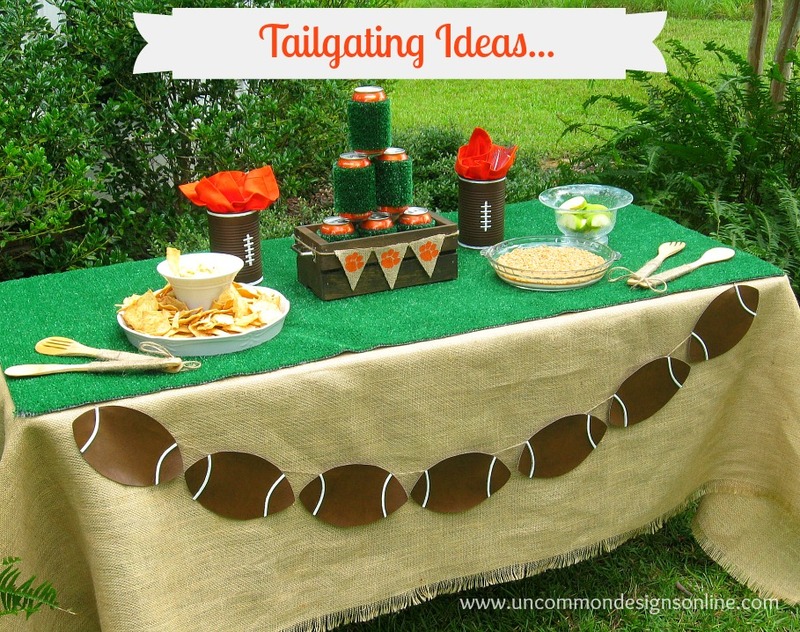 It makes me want to have a tailgaiting party just so I can decorate a cute table like yours 🙂 Love it and pinned! 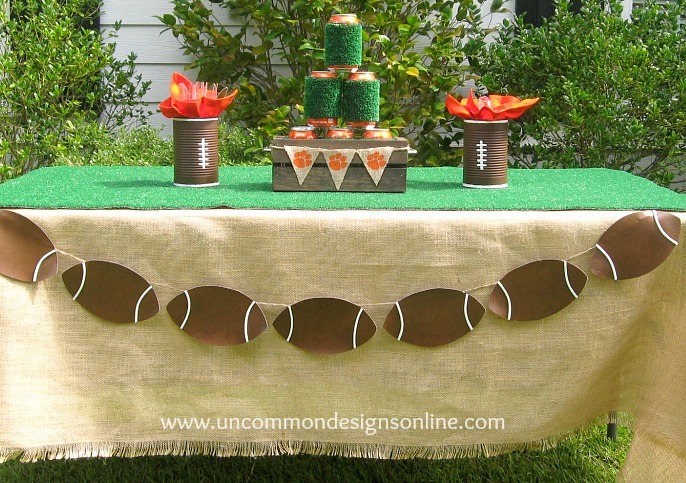 Thanks so much for linking up your fabulous football posts to the College Football Saturday Tailgate Party! Too bad your Tigers aren’t winning tonight– would have loved to see FSU beat! I LOVE the setup! I want to do this setup on our sidebar for our Super Bowl party this year. 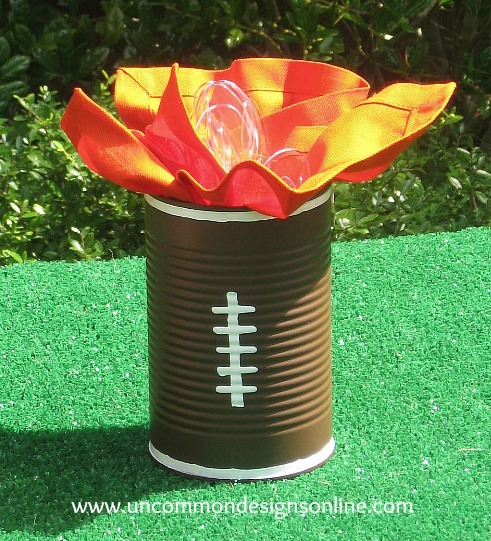 How did you make the tin cans?